With the amalgamation of Scoil Bhríde Naofa Girls school and Scoil na Mainistreach boys school last September St. Brigid’s Primary School became one of the largest primary schools in the country with 951 pupils on roll. It is a busy, vibrant community with the pupils engaging in a variety of learning methodologies and activities. 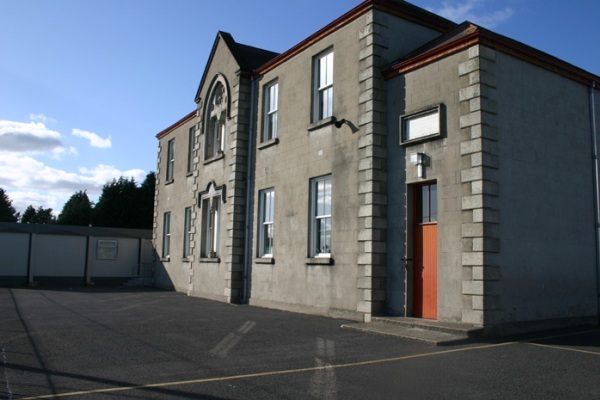 Find the contact details for both buildings of Saint Brigid's Primary School. Here is a list of important school dates, holidays, closures and events that you should add to your calendar. Read about how our school came to be formed and the traditions on which our ethos is based. Learn more about the Green Schools initiative, and how we have successfully achieved 5 green schools flags! St Brigid’s Primary School is a Catholic, co-educational school which strives to provide a happy and secure environment where the self-esteem of each child will be enhanced. The educational, spiritual, moral and cultural needs of each child will be identified and developed with compassion, enthusiasm and due regard for the child’s individuality. St. Brigid’s Primary School endeavours to encourage and motivate the child to reach their full potential, while promoting excellence in teaching and learning.